I'll start out by saying that I'm a sucker for meringues. I love them. There's something almost heavenly about them - they hardly weigh anything and have the most unexpected texture for something so hard. Yum. These delightful beauties came as a complete accident the other night. 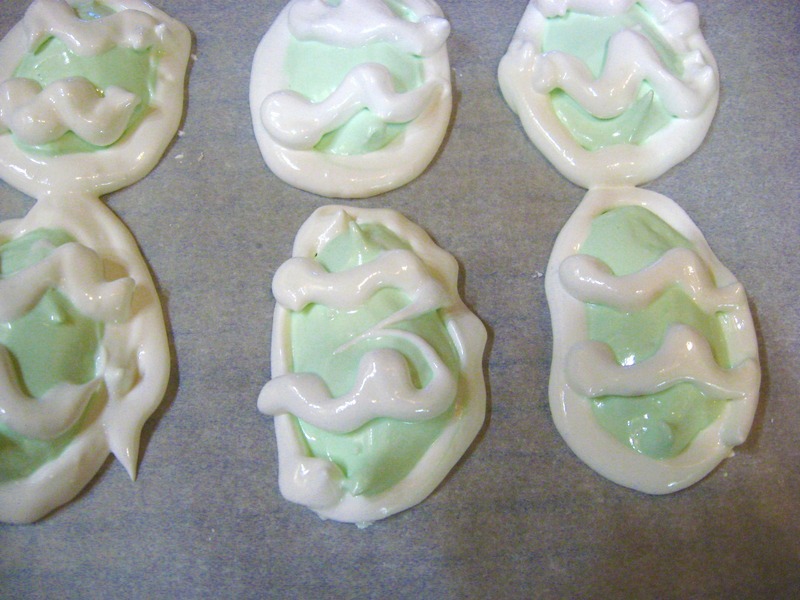 I was attempting to make a totally different meringue shape - frogs to be exact - and they ended up looking like aliens. I'm not kidding. 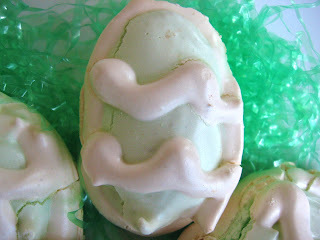 So, I had some meringue left over and a little extra oven room and decided that I'd make Easter eggs. I'm glad I did. Because it was a rush job, I wasn't taking a lot of photos along the way as I usually do. I also didn't have much time to take photos to do the finished product justice (hence the much-doctored above photo - I thought it was festive, anyway). 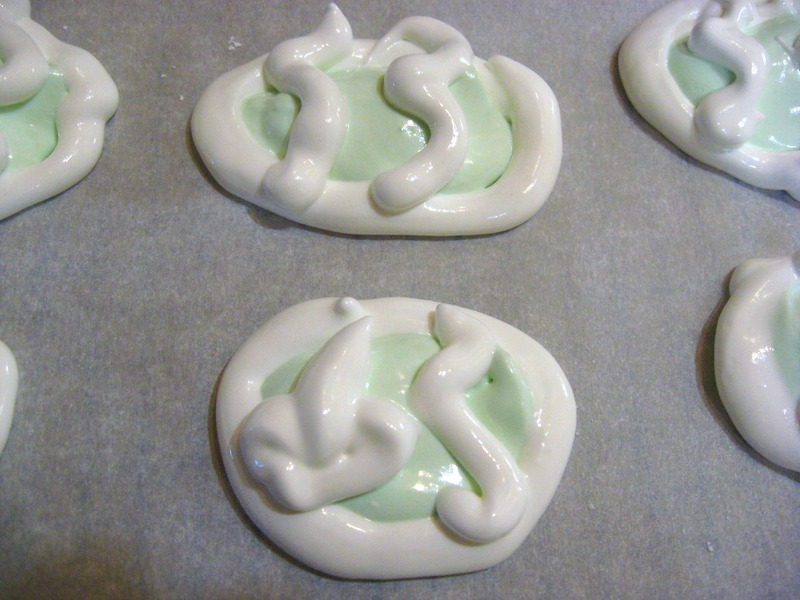 I adapted this recipe from the "Froggy meringue cookies" recipe out of Jewish Holidays Cookbook a friend recently gave me. Yes, I was trying to make the frogs. 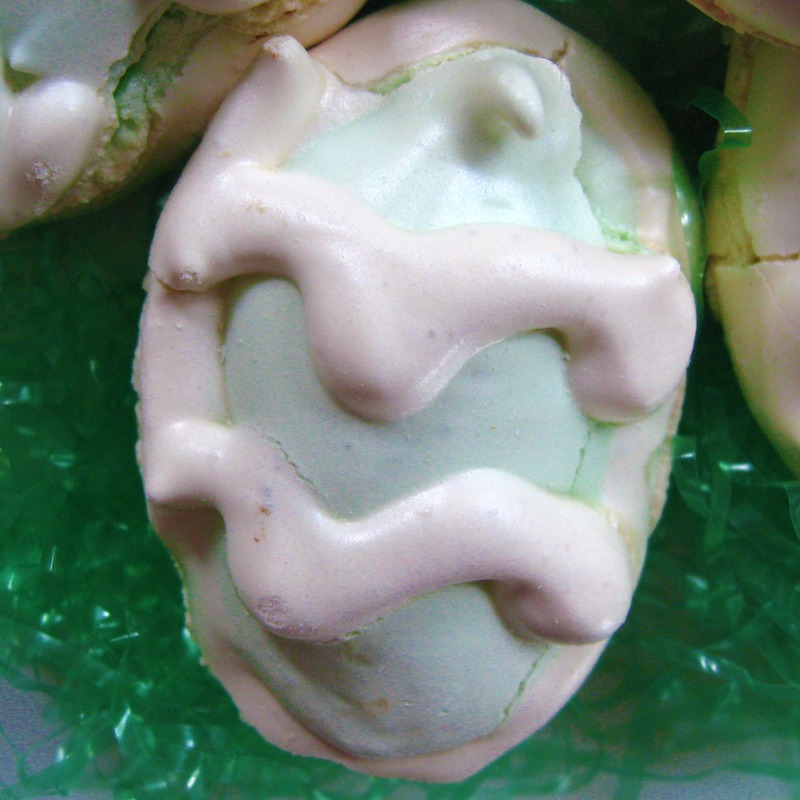 It was for Passover (frogs were one of the plagues), which, as I mention in a previous post, I feel is important for us to celebrate along with Easter. The recipe, in the book, however, isn't complete. It leaves out the essential baking time and any instructions after that. 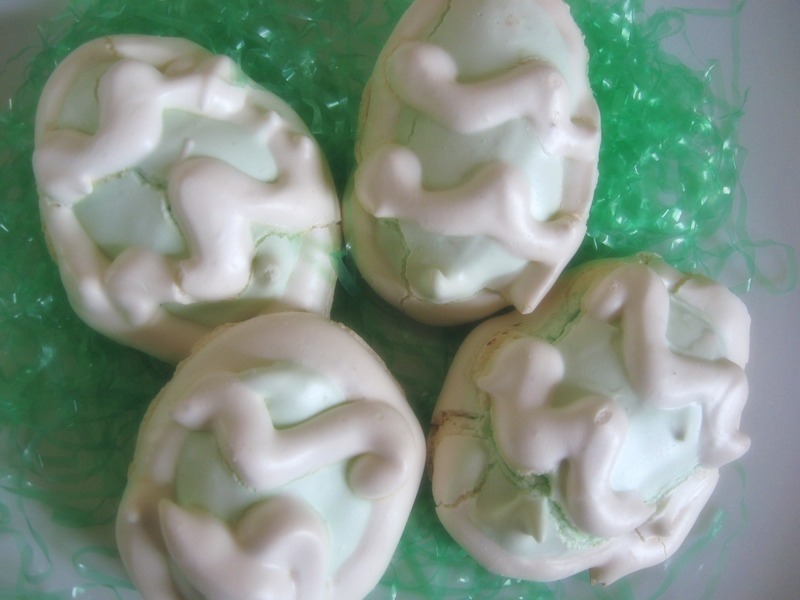 Thankfully I knew how much time was needed because, after all, did I mention I love meringues? 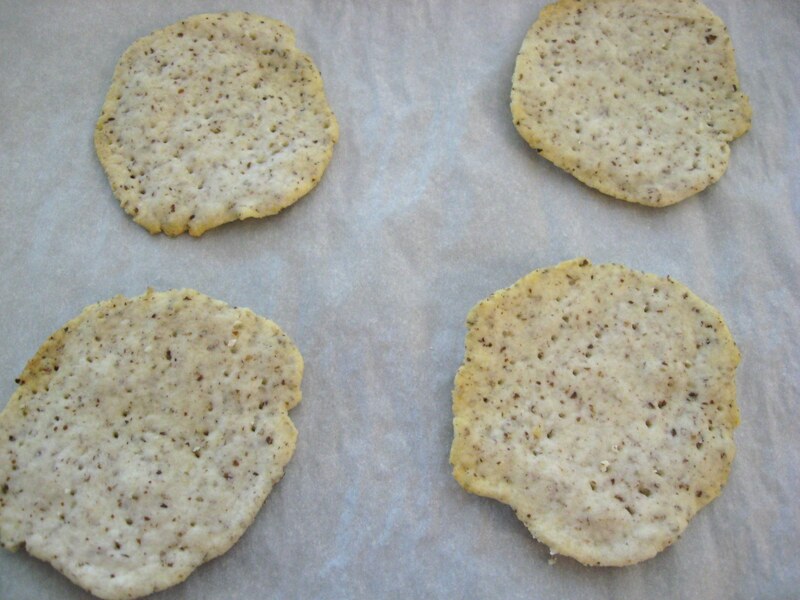 Preheat oven to 200 degrees and line baking sheets with parchment paper. If you have a gas oven, move your racks to the very top. Have your egg whites at room temperature and beat them in a large bowl until they are foamy and light. 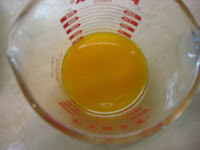 Add the sugar a little bit at a time, about a tablespoon, while continuing to beat the eggs at a medium-high speed. 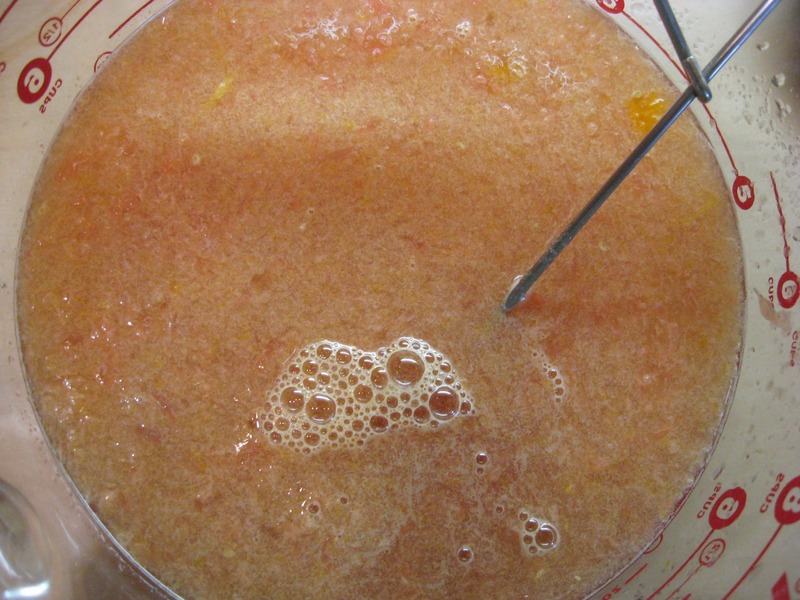 You may need to stop the mixer a couple of times and scrape some sugar down. 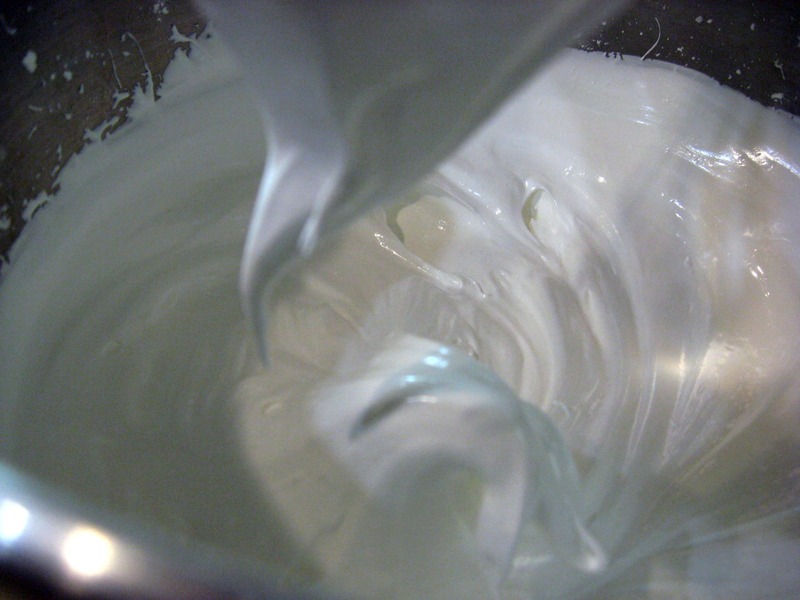 When all of the sugar has been mixed in, turn the mixer to high and continue to beat until the meringue mixture is shiny and very stiff. Thick peaks will stand stiff when the meringue is ready. You may have to beat for a while to achieve this. Remove some of the white meringue at this point if you want white piping. Also, you can remove extra to color different colors. Add flavorings and food coloring to remaining meringue while mixing on low speed, then return to high to incorporate all of it. You may need to scrape some down. Place meringue in pastry/icing bags or ziplocs with the tip of a corner cut off and with your main color(s), squirt egg-shaped dollops onto the parchment paper about an inch apart. You'll notice in my photos that I didn't give an inch for all of them. It was an accident and yes, they did puff into each other just a little and easily broke off. If you don't want that, put sufficient space between them. Take your white color or any other color you have for piping and squirt meringue around the edges of each egg and decorate the tops. Bake (top rack if gas oven) at 200 degrees for about 2 hours, possibly longer depending on the thickness of your cookies. 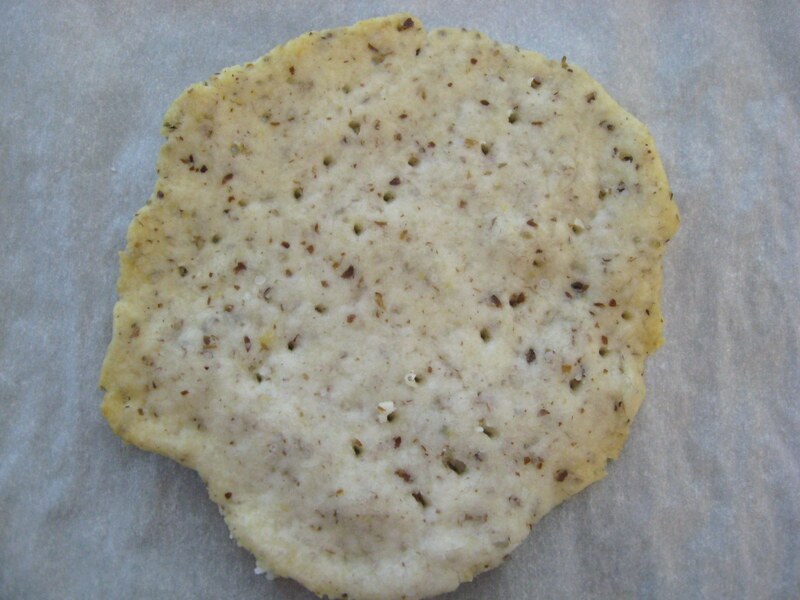 The meringues should be hard all the way through and come right off the parchment paper. If you prefer to have a softer center, bake them for around an hour. The outside will be hard and have a great crunch, but the center will have a fantastic softer and chewy texture. Cool pans on wire racks and then transfer meringues to an airtight container lined with wax paper. Store at room temperature. You don't want any humidity to be in that container, so make sure they are completely cooled. Have fun with them! 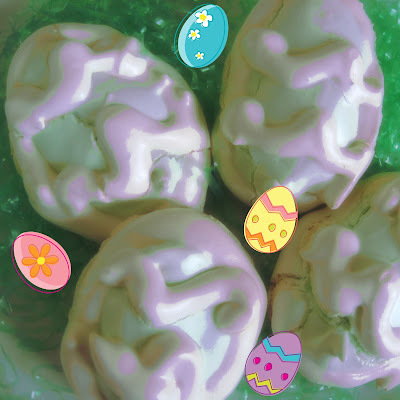 I do plan on making some of these at some point again - maybe not until next Easter, but when I do have new meringue eggs, I will also hopefully have better photos. I'll share them then. And enjoy eating them! If I don't get another post in before Easter, have a blessed and very happy Easter! I will be making hot cross buns with my family tomorrow. The last couple of years, I've used Living Without's hot cross buns recipe found here. They are good. However, I've missed the taste and texture of the hot cross buns my mom made for us every Good Friday while I was growing up. Tomorrow I'm attempting my own recipe/adaptation of the one she used. I'm hoping it works out! If it does, I'll share it with you soon. Again, have a happy and blessed Easter! 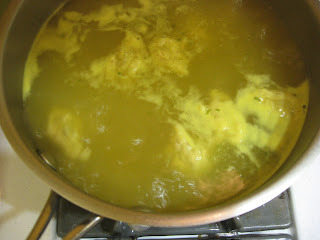 I absolutely LOVE matzoh ball soup. I've adored it since I was a child, and don't know why I don't make it more often. 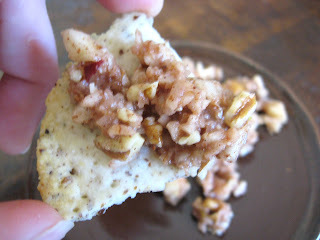 If you are wanting some great charoset or matzoh crackers, check out yesterday's post. 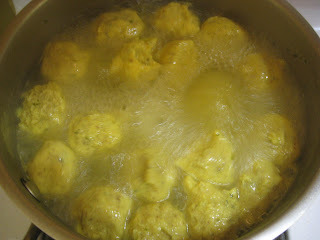 These matzoh balls, just so you know, would taste great as dumplings for chicken and dumplings. They don't taste the same as the dumplings my mom made for chicken and dumplings, but she made the dumplings into balls rather than thinner squares like some do, so this recipe is what I'd start with if I was craving that dish. 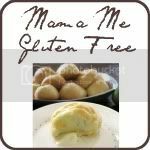 I adapted this recipe from this gluten-free matzo balls recipe a couple of years ago, and we all love it. 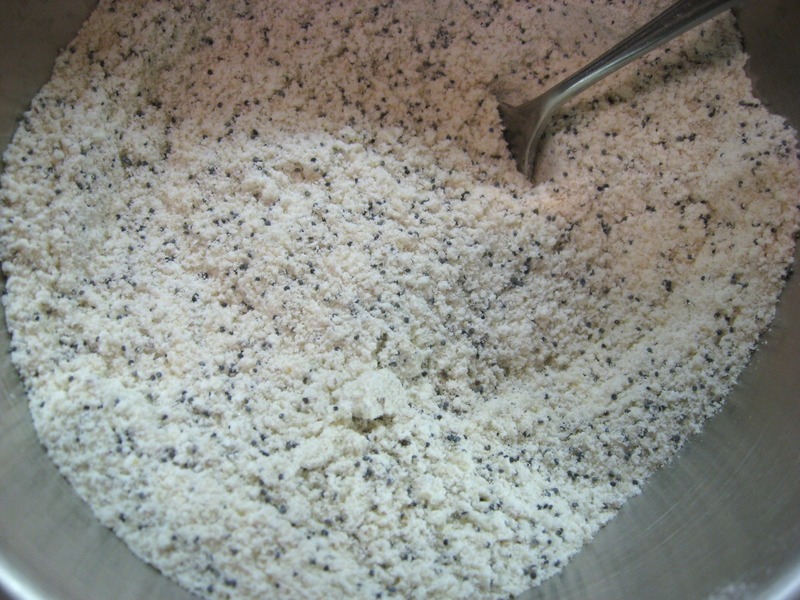 Mix dry ingredients together, including herbs, making sure to get out any lumps in the almond flour and potato starch. 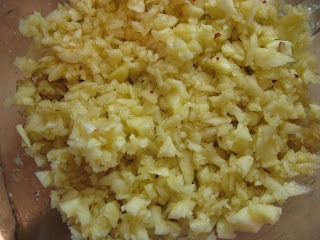 Whisk together eggs and grapeseed oil. 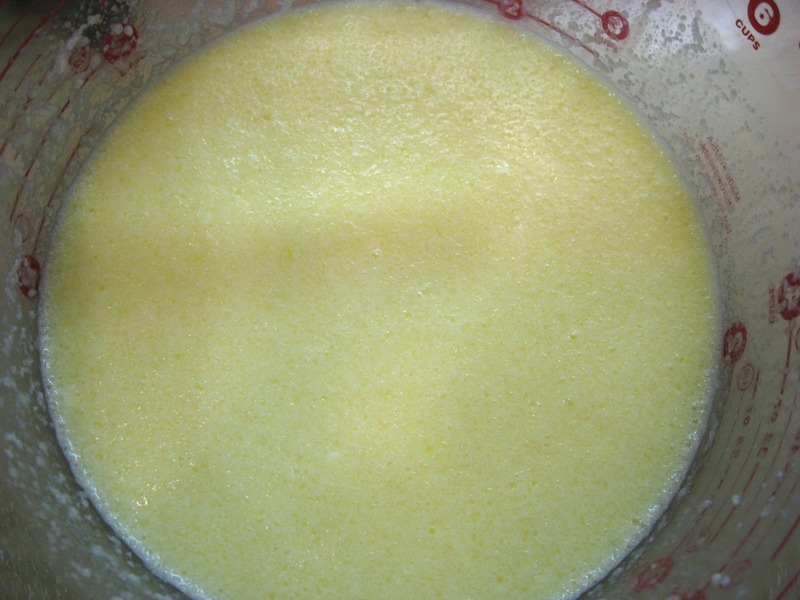 Add egg mixture to dry mixture, stirring together until all is incorporated very well. Cover bowl and refrigerate for at least two hours, a few hours longer is better. 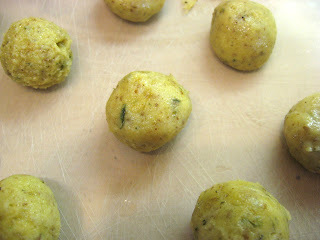 Roll matzoh mixture into 1-inch balls. Drop dough into boiling stock. Cover and simmer for about 20 minutes. The matzoh balls will puff up and start to float as they cook. After they begin to cool, they will deflate but will still be delicious! 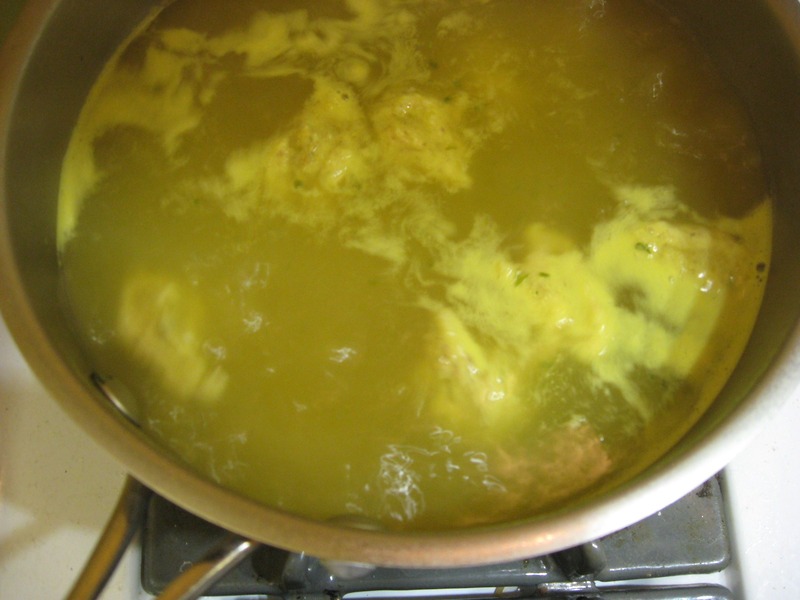 Serve a few matzoh balls with the soup in each bowl. Growing up, I always celebrated two holidays around Christmas and Easter - Hanukkah and Passover (Pesach). Our family isn't Jewish, but we celebrated those holidays with family and Jewish friends because not only was it special to some of our friends, those holidays are after all a part of the roots of the Christian religion so they are special to us. Now that I have children of my own, I want them to have knowledge of the history behind these holidays and understand what they are about and why they are so important, so we also celebrate them. I realize it's a little late, since celebration of Passover began last night for those in the Jewish faith, but I'll be sharing a few Passover recipes as well as Easter recipes over the next week or so (so there will most likely be late Easter recipes, as well). This charoset recipe is the one that my grandmother used and we all love it, especially served over matzoh crackers. 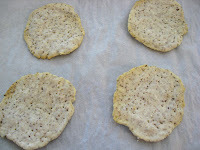 I know some people don't care for matzoh crackers, but I always loved them. 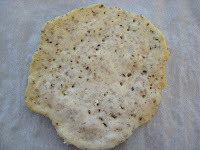 The gluten-free ones I make are delicious - I think even better than the gluten version! 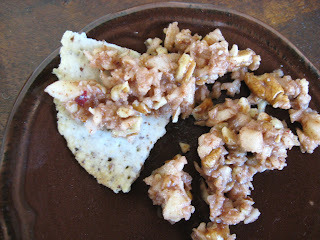 Both the charoset and matzoh cracker recipes are vegan, dairy-free, egg-free and soy-free as well. I think this charoset is good as soon as it's made, but I think it's even better after it has been sitting in the refrigerator for a while. 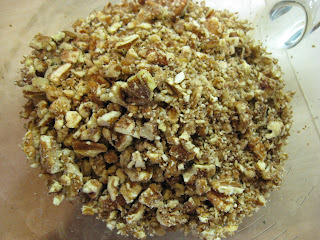 Chop pecans in a food processor. 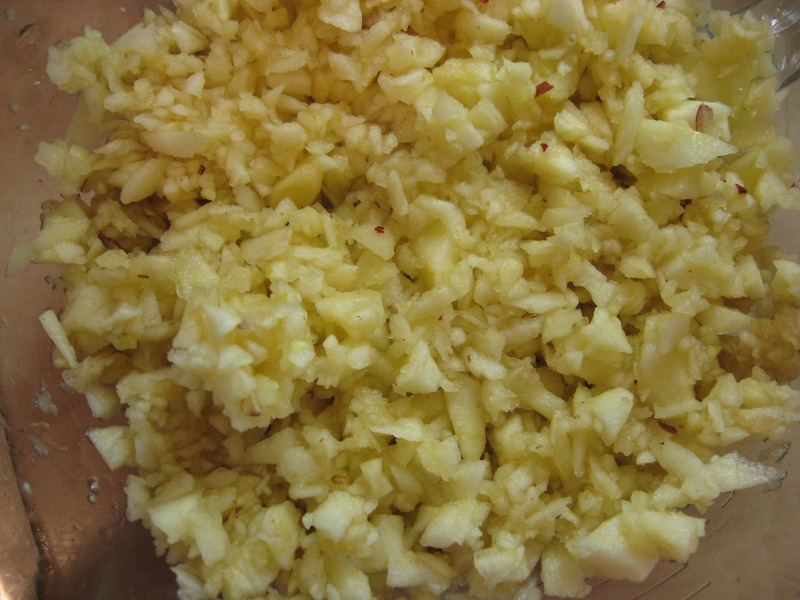 Peel apples and run through food processor for quickest chopping. 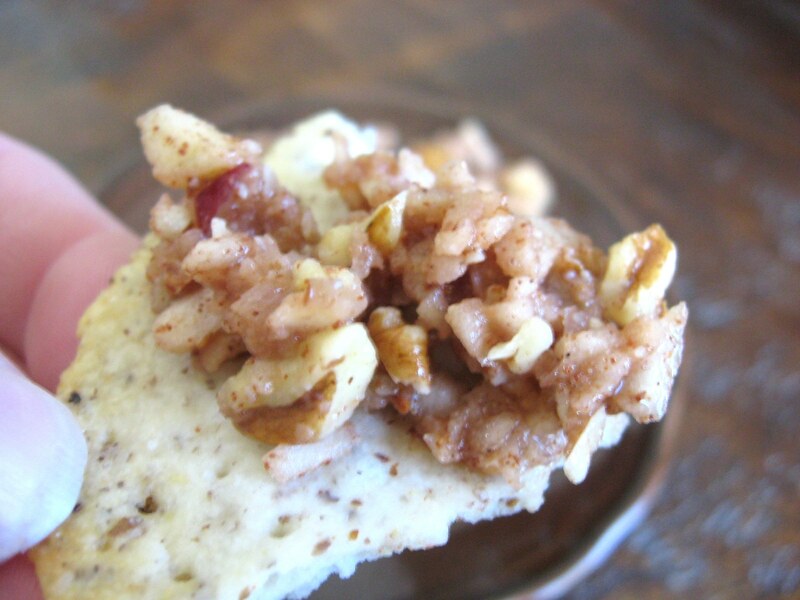 Combine apples and pecans with honey, cinnamon, grape juice and grated lemon rind. Refrigerate until ready to serve. Enjoy - we sure do! 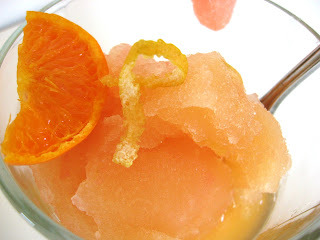 Can I tell you how absolutely refreshing this sorbet is? It is. So. Good. Every year around Christmas I have a table selling Watkins (I'm an independent associate) at a local trade show. There are three things I do with the money from the booth. The first is buy some animals to donate to families in need through World Vision. This is a fun thing to do at Christmas and helps teach the children about those less fortunate. We usually purchase a goat as a Christmas present to ourselves, and then other animals (usually chickens and ducks) for Christmas presents to some family members. 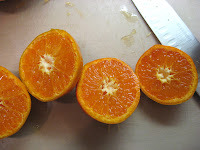 Our most recent fruit box from Harry & David was "Royal Grapefruit." Each one was beautiful (and of course this photo happens to be a little blurry and under bad lighting). 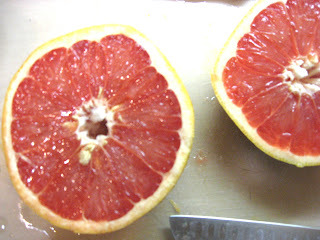 I have fond memories of eating grapefruit with my father many mornings with our breakfast. Grits with a pool of melted butter in the middle and a grapefruit half drizzled with honey. Oh, so good! As I've gotten older, grapefruit has been harder on me. I can only eat a small amount at a time, so sitting down to a whole half is nearly impossible. I've missed it. So when we had a whole box of the lovely fruit, I knew I didn't want it to go to waste but what to do? The girls were eating sections of it with nearly each meal but it would take a while to go through them and I wanted to use them up while they were still really good. 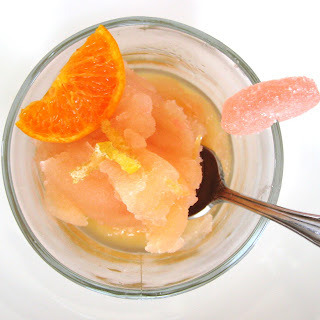 I noticed a recipe for grapefruit sorbet on the care card inserted in the box with the fruit and immediately had an idea for a variation of the recipe - and what better way to use up the grapefruit? Have your grapefruit zest and larger rind curls ready. 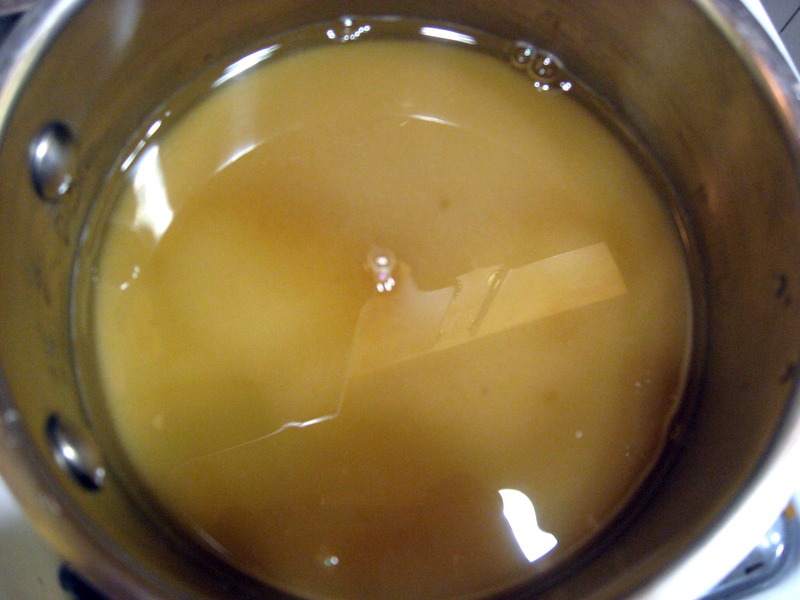 In a saucepan, combine the water and sugar, stir well. 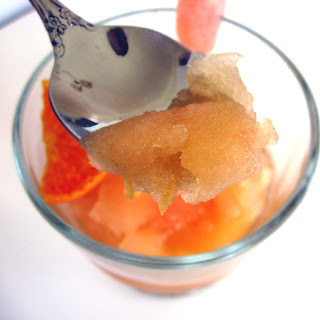 I use organic cane sugar, which has a browner color to it. 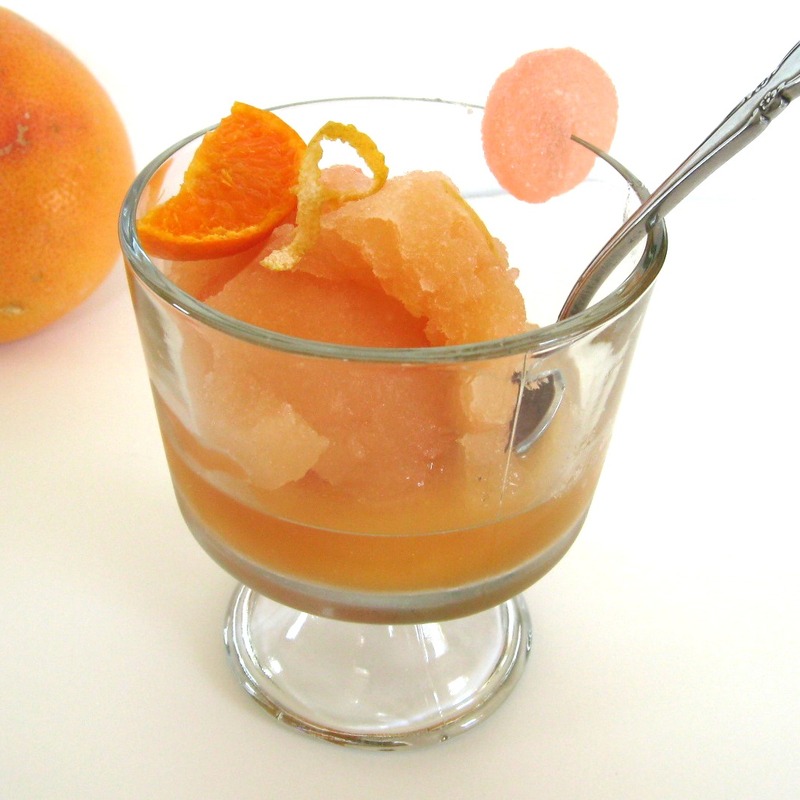 It also dulls the natural color of the sorbet a little, but I wanted to use it instead of refined white sugar. 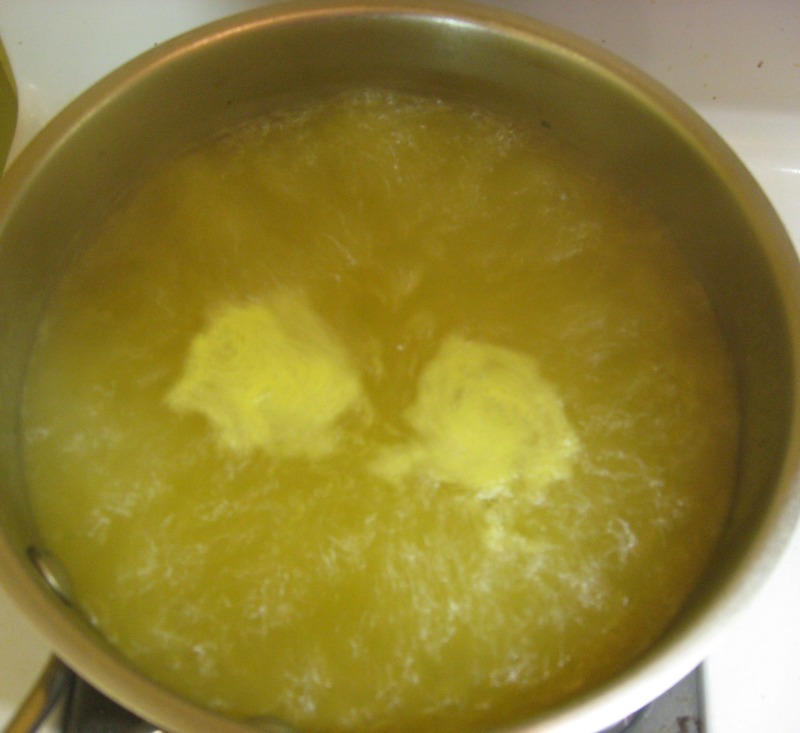 Bring to a boil and, continuously stirring, cook for about 1 minute or until the sugar dissolves. 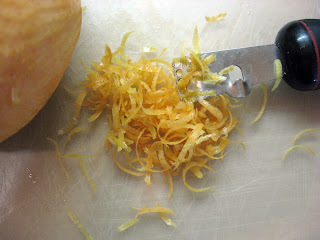 Remove from heat and pour into a large bowl over zest and rind curls (you'll be removing the rind curls, so if you have something you can put them in - I used a tea ball - then that makes it easier) and set aside to cool. 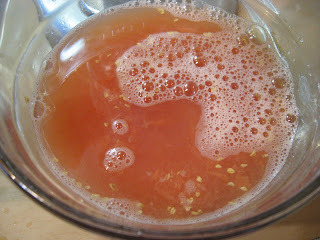 And juice the grapefruit (I used the Kitchen Aid citrus juicer attachment for my mixer). Spoon out any smaller seeds that the juicer screen didn't catch. Combine the two juices and add the Izze Sparkling Clementine. Remove grapefruit rind curls from sugar syrup and set aside for garnish. Pour juice mixture into zest and syrup and whisk together. 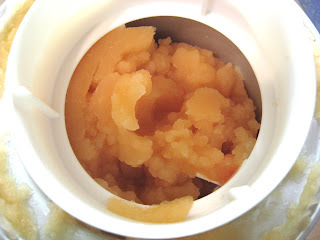 Pour into ice cream maker (I use a Cuisinart that has a handy freezer bowl I keep in the freezer at all times) and churn for 25 to 35 minutes. Spoon sorbet into an airtight freezer-safe container and freeze until firmer. I took the final photos after it had been freezing for about 2 1/2 hours. It got firmer after that. 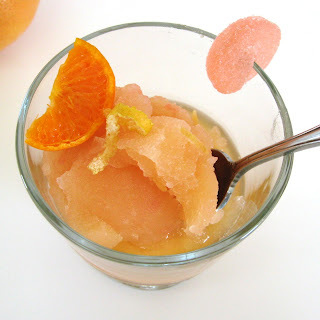 You can also eat it just like this as a slush. After I spooned it into the freezer container, I spooned out the rest and ate every last bit. Garnish with sweetened grapefruit rind curls, clementine wedges and grapefruit gummy candy if desired. 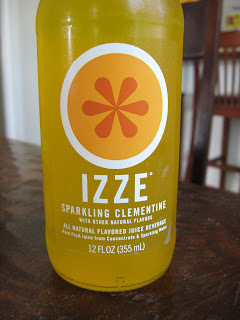 This post is linking up with Seasonal Sundays over at Real Sustenance. 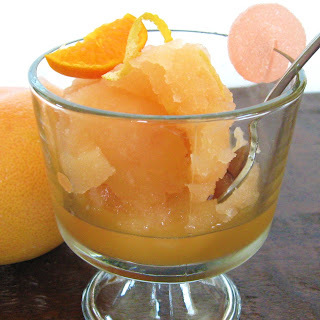 Check out the other great recipes celebrating the season! 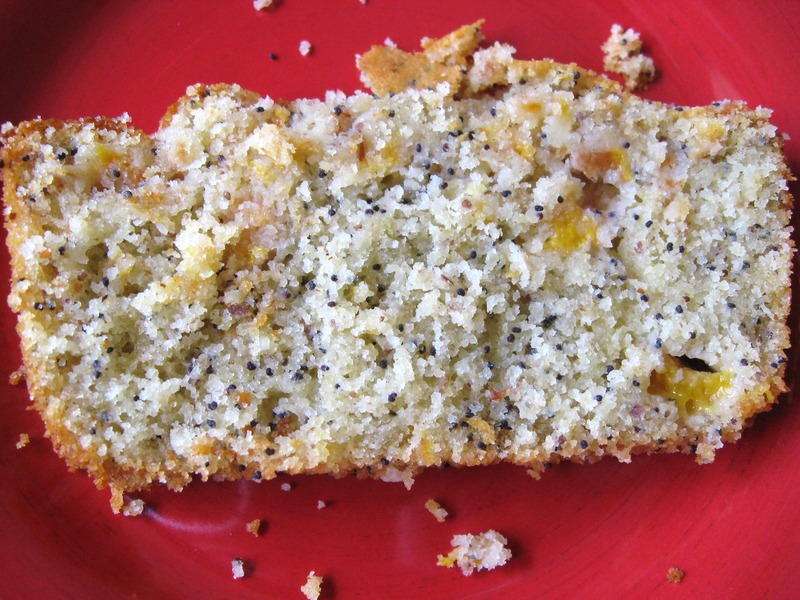 I was a young teenager the first time I tasted peach poppy seed bread. My grandparents (mother's parents) traveled all over, and often, but one place they particularly loved was Taos, New Mexico. Sometimes they'd bring the family along for a couple of weeks on their Taos trips. One time they just brought my brother and me, for nearly a month. I was 15 on that trip, but I'd tasted this bread a year or two before. I'm filled with a myriad of memories when I think of Taos. I won't go into all of those here, but I will tell you that food was among them. My grandmother appreciated great food and we discovered some amazing places and tastes on those trips. There was a cafe on the outskirts of Taos that we discovered one summer. If any of you are Taos natives, maybe you can tell me for sure, but I believe the name was Northside Cafe? I tried googling such a place and it apparently doesn't exist anymore. They served amazing green chile chicken enchiladas and some delicious peach poppy seed bread. On future trips to Taos, we would have these enchiladas and bread for at least one of our meals. 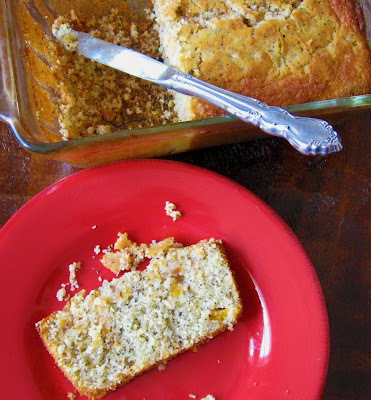 I know the combination of enchiladas and peach poppy seed bread probably doesn't sound like the best, but for some reason it worked for us back then. Sometimes we would order a meal to go, and eat it as a picnic on a hike through the mountains or along the river. My grandmother would cut everything up into portions and serve them to each of us. I still remember how she would hold the knife and cut each thick slice of bread/brownie/cake/whatever into smaller rectangles. We would secretly joke how sometimes she would cut a larger portion for herself. She lost her battle to cancer 10 years ago at quite a young age, but I still miss her. Memories, good and bad, often involve food. This is one of the reasons that sometimes when we discover a way to make something, we get so excited about it. It's not just the taste, texture, smells and colors that excite us, but also the memories that are evoked when we rediscover something familiar yet distant. 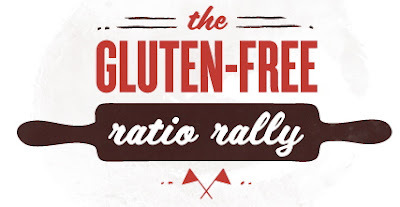 It was this way for me when I learned about the Gluten-Free Ratio Rally that some amazing food bloggers came up with. 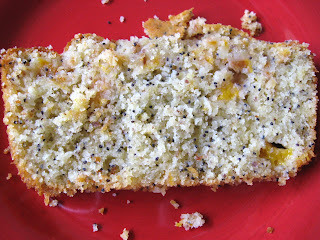 Ratio baking allowed me to recreate the peach poppy seed bread from years ago. The Ratio Rally posts began last month with various gluten-free pancakes. You can read about how it started, as well as a pancake recipe and links to all participating pancake recipes, in this post by Shauna James Ahern from Gluten-Free Girl and the Chef. 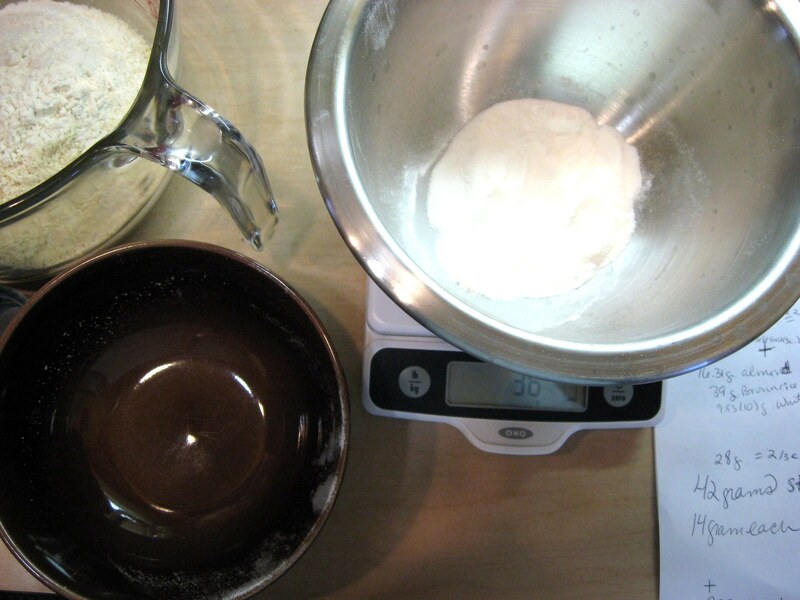 When I started reading the rally posts last month, I became excited about the possibility of taking this weight for the flours idea and taking it to the next level with weight for each main ingredient being used in a ratio. They kept talking about Michael Ruhlman's book, Ratio: The Simple Codes Behind the Craft of Everyday Cooking - and I immediately decided to buy it. If you haven't checked this book out yet and you have any passion at all for cooking and baking, you have no idea what you're missing. I excitedly flipped through the pages when I first got it, stopping to read long sections at a time. My excitement kept increasing. When my husband came home, I couldn't contain myself. "You've got to see this book I got that's written by this genius guy!" I exclaimed, making him laugh. I'll admit that he didn't get quite as excited as I had upon the discovery of ratio-based recipes, but he was happy to see me so excited, and more than a little happy at the prospect of more experimental yummyiness. Another thing about ratio and weight baking is yes, you do need a scale. This is a good thing - I've discovered that by doing it this way, I can dump pretty much everything into a bowl (one ingredient at a time, zero it out after each addition) and I'm dirtying less dishes. No measuring cups. This is the scale I use , but I plan to upgrade to the larger one at some point. I like this scale because not only does it have a pull-out display, it converts from ounces to grams and you can zero it out after each addition, which is a must if you're wanting to save time. 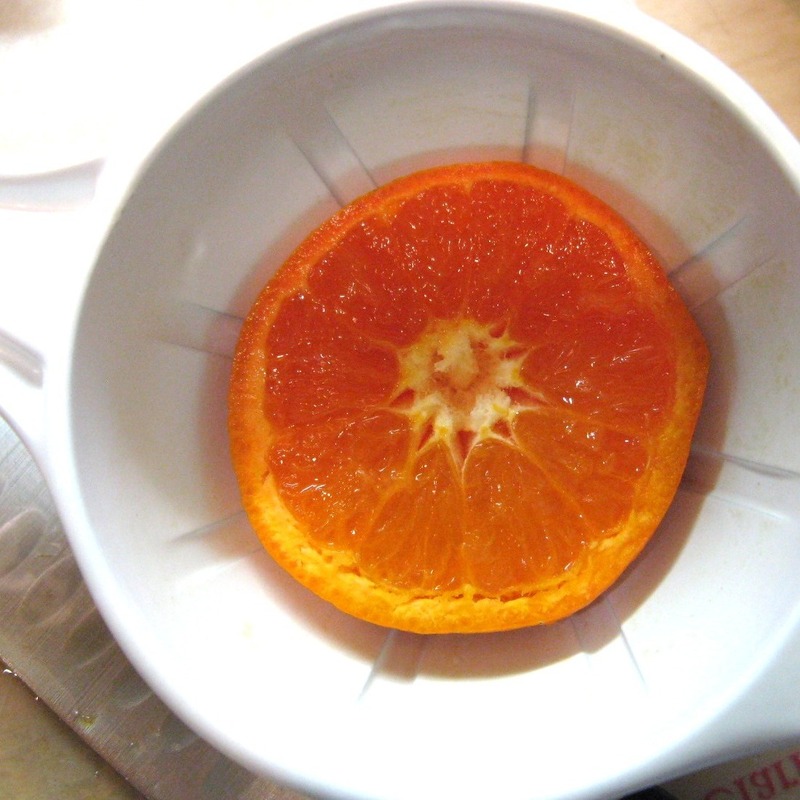 Of course, I still have recipes that I've perfected using measuring cups and spoons. That's okay. I can still use those if I want. This ratio baking gives me the freedom to try new flavor combinations that pop into my head, without the usual frustration of trying it over and over again in different amounts of flour, liquid etc. If I have a ratio, I can get it pretty darn close, if not the way I want, the first time. I have a better idea of what I need to try to add and/or omit the next time, and after the second or third try I may very well have a keeper. This helps us out in the gluten-free world, because it gives you a ratio to follow for a specific type of food, and you can flavor it how you see fit. For example, the posts for this month's Gluten-Free Ratio Rally are quick breads. We are each able to make a unique bread using a ratio. 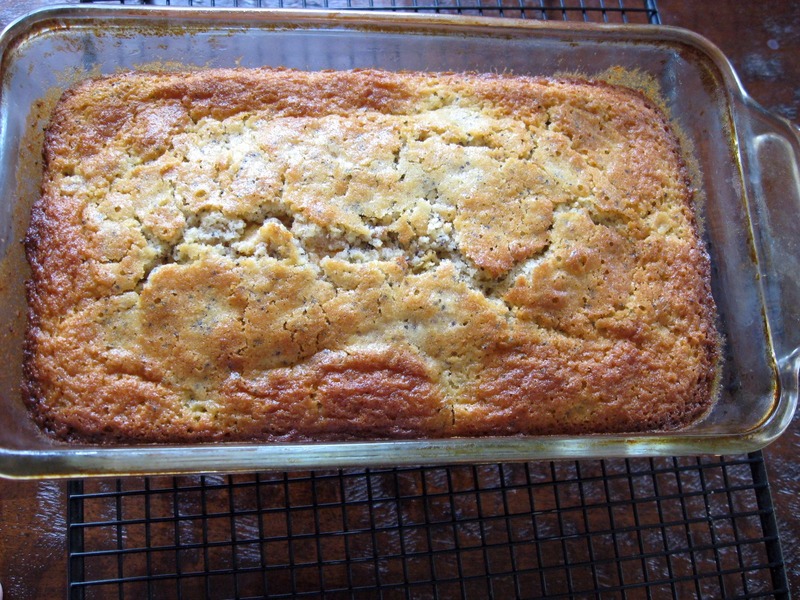 The quick bread for this post works according to the ratio 2 parts flour/2parts liquid/1 part egg/1part fat. 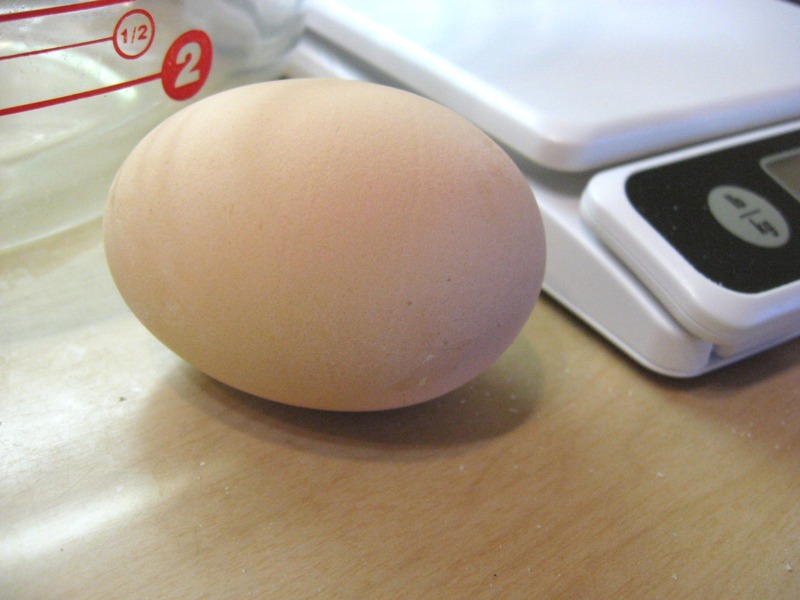 One large egg weighs 2 ounces, so you work according to that. If you are using one egg, then you would use 2 ounces egg, 2 ounces fat, 4 ounces liquid and 4 ounces flour. For this recipe, I doubled everything. The first try on this bread, it baked into a beautiful loaf that took nearly an hour and 20 minutes to bake, and it was still incredibly gummy. Not a bad gummy, but I didn't like the crumb. My family had no trouble eating it, however. I also realized that I had mixed too much. 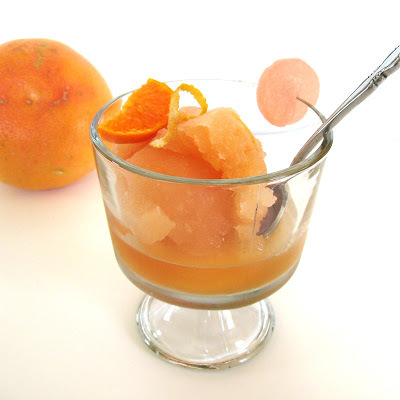 Less is more when mixing the wet and dry ingredients together in this recipe. The second try was beautiful. I loved every bit of it, except I felt it was just a tiny bit too salty. No one else did, and they gobbled it up. The first time I used unsalted butter, the second time I used salted butter. A nice compromise I've done in many recipes is to use both. 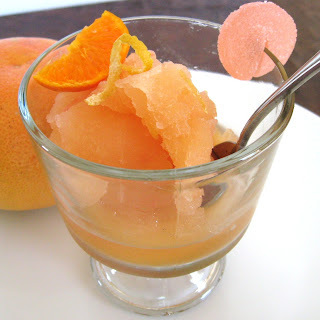 Another note is that I used fresh-frozen peaches. My dad had an amazing amount of peaches on his trees this past summer and I was blessed with an abundance of frozen peaches after he and my daughters picked a few hundred. (Thanks, Dad!) 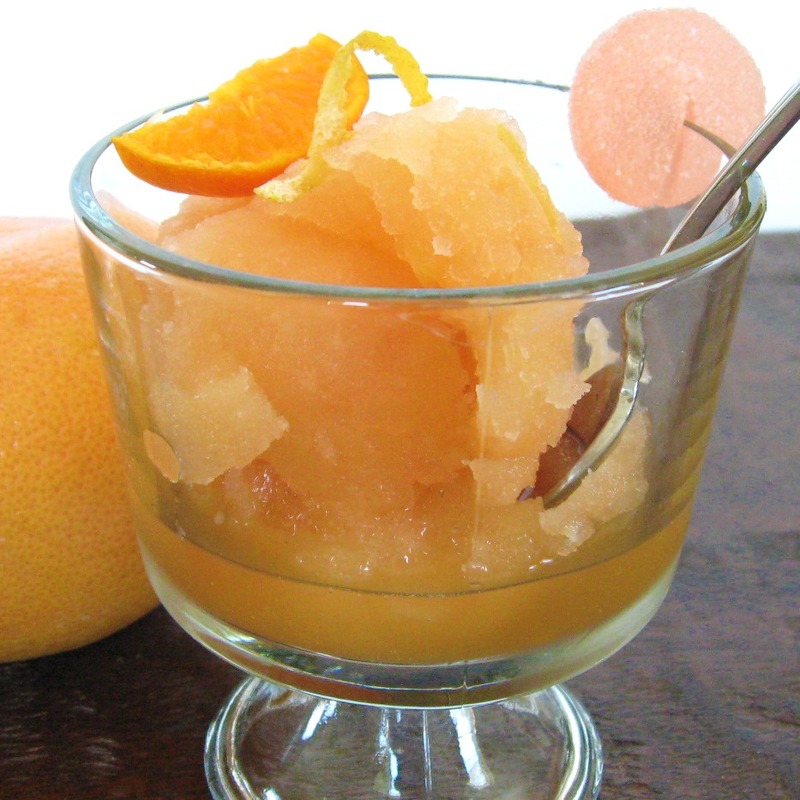 Using frozen peaches versus fresh or canned may make a difference in the texture. Going by weight should help, especially if you make sure to drain them very well regardless of what form they are in. I'm providing the recipe in ounces because that's what the ratio uses. 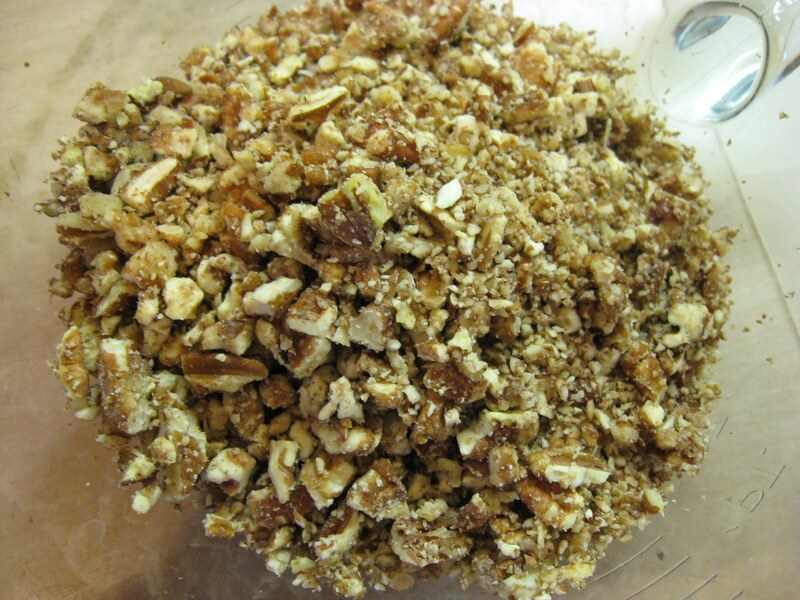 You'll notice that I also add milled flax seed to the recipe. I like to use it often in my baked goods for its nutritional benefit. Make sure to have your ingredients at room temperature. Bring your ingredients to room temperature (this is especially important when using butter - you don't want cold ingredients to make your melted butter chunky) and preheat the oven to 350 degrees. Grease a loaf pan. 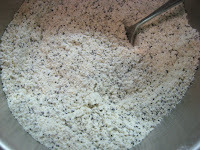 Sift flours together and combine with flax seed, salt, sugar, baking powder and poppy seeds. 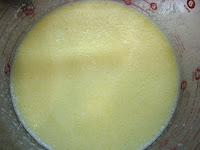 Whisk together milk, eggs, melted butter and almond extract until they are incorporated very well. 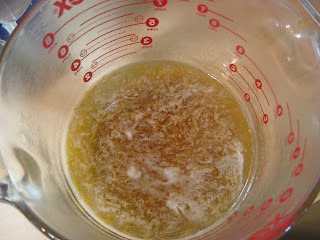 Add dry ingredients together with the liquid mixture and use a spoon to stir together just until mixed. Gently fold in peaches. Pour into loaf pan and bake at 350 degrees for 50 minutes to just over an hour. It took mine just under an hour in a gas oven. Check at 45 minutes, but it will most likely take a little longer. The bread is done when a knife inserted in the center comes out clean. The top will also bounce back just a little if pressed lightly. Place pan on a wire rack to cool. A note: The flavors will come out better and the bread will crumble less the longer it cools. I love the flaky top this bread produced. This bread tastes very much like the bread I remember eating in Taos with my grandparents. 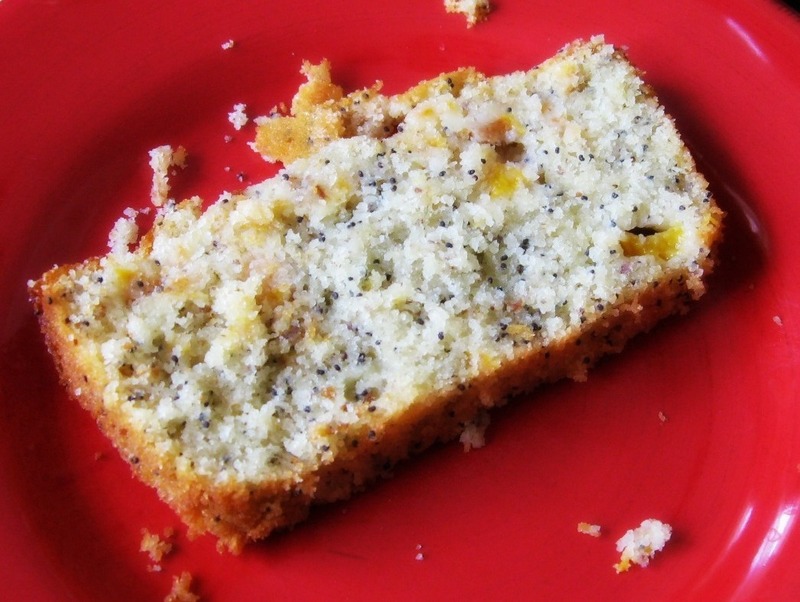 I'd never looked for a peach poppy seed bread recipe before, but I immediately knew that was the bread I wanted to try to recreate for the rally. I'm glad I did. And thank you to the individuals who started this rally and have encouraged others to give it a try. I'm glad they did!